Find a new and interesting gift among these brands ! a luxury lifestyle blog. Might be a gift idea here ! 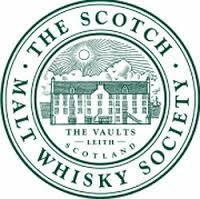 QOSY report as follows "With a near-endless variety of brands, vintages, and expressions to choose from, finding the perfect scotch can be a journey that spans a lifetime. What is considered the “best whisky” will always be a subjective opinion and you should always go with your personal tastes. Nevertheless, there are some bottles which are consistently agreed upon to be exceptional. To make choosing your next scotch easier, we’ve collaborated with a team of whisky experts and distilleries to compile the following lists of top-notch single malt and blended scotch to satisfy almost any taste." Ten great new Whisky Books for every taste ! Links to specialty whisky websites offering gift suggestions !